GoodReads Summary: After the 1st wave, only darkness remains. After the 2nd, only the lucky escape. And after the 3rd, only the unlucky survive. After the 4th wave, only one rule applies: trust no one. As a sci-fi fan I am always on the look out for a YA sci-fi book that will blow me away, and last year that book was Partials by Dan Wells. This year, Rick Yancey's The 5th Wave has conquered that spot, and even though it's only April I just know that nothing is going to take its place. Sometimes Cassie feels like she is the only survivor left on Earth. She has lost everything, expect for her brother - and that is what drives her, the promise she made to find him. Yancey does a brilliant job of capturing the voice of a 17 year old girl. Armed with sarcasm and a dry sense of humour, Cassie's character really spoke to me. 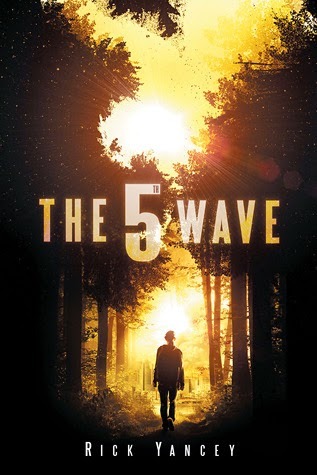 The 5th Wave is not only told from Cassie's POV, though. We also hear from a young man whose revenge is fueled by his guilt over abandoning his sister at the mercy of the Others. Evan, a mysterious and complex character, and Sammy, Cassie's brother who for someone so young is incredibly brave and intelligent. But it's not just the main characters that make an impact, Yancey has created a wonderful set of secondary characters that are both well developed and crucial to the plot. It's obvious that Yancey is an incredibly talented writer, the tone of the story switched between sarcastic, and humorous to serious and philosophical. Each each character had a distinctive voice, and had deal with their own moral dilemmas and challenges. The romance developed rather quickly, but I can't say it's the worst romance I've ever read. To me, it was just there. I could go on about my love for this book, but I wont. Instead I'll leave you with this: The 5th Wave plays a toll on every emotion. In a world where you have to constantly look over you shoulder, and no one is quite who they seem who can you trust? I am the one not running, not staying, but facing. Because if I am the last one, then I am humanity. And if this is humanity's last war, then I am the battlefield. Now following you on BlogLovin, I love the simplicity too, tho it doesn't give you an overview of who your followers are, making follow backs tricky. Having said that I had an e-mail notication of new follower today..I'm pretty sure that's new. Addictive, fast paced and swoony sounds right up my alley. I can't wait to read it. I really want to read this one. I have been wanting to check out Yancey's Monstronumologist series for a long time and now this one is getting such great buzz. I am ticked that I missed out on an ARC of it. Hoping I can still track one down. I need an addictive fast paced read with just a touch of romance! I keep hearing fantastic things about this book, I'm so glad I have a copy, I must read it asap. I am trying to read more YA sci-fi and I find I'm enjoying it a lot! I'm glad you loved this one, Renu! I love that all of the characters were really well-done! I love when that happens in a book :) I want to read The 5th Wave not only for its creepiness but also just to get a glimpse of his writing because it sounds absolutely delightful from the way you're describing it! The romance didn't quite do it for me (I thought Cassie's reaction was a little unfounded), but I liked all the characters in this book and really enjoyed it overall! I can't wait for the next one. :) Great review, Renu. Eep!! I always already SO excited for this book and this review just made me even more so! I'm a huge fan of Rick Yancey's writing so it's good to hear that he also does a stellar job with this one. Really nicely reviewed! Okay, you totally had me with that first paragraph. I was pretty much set on pass on this book, but saying it's in the same league as Partials hooked me. 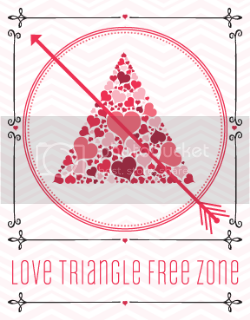 I may have to go download this right now. Wow wonderful main & secondary characters AND a swoon worthy romance! This sounds like it has everything going for it. This is one of my most anticipated titles at the moment, I can't wait to get my hands on it. Fabulous review, you have made me want it even MORE! I've heard some good things about this book, it sounds like something I would enjoy! Ohh I hate it when the romance overshadow's the plot! It's so annoying :/ I'm glad to hear the romance doesn't do that in this case!